Watch Lupin III Episode 0: The First Contact full episodes online English Sub. Synopsis: Jigen tells the story of the gang’s first meeting. 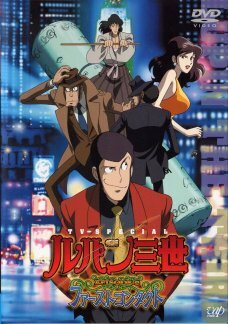 Jigen, still a member of the Mafia, is hired to protect an ancient artifact – one that Lupin and Fujiko are both trying to steal. Meanwhile, Inspector Zenigata, then of the Japanese police force, has come to the U.S. on Fujiko’s trail, and Ishikawa Goemon is searching for the lost treasure of his clan.